Batelco Group (Ticker: BATELCO), the leading telecom in the Middle East of reference with operations across six countries, announced its results for the twelve-months ended 31 December 2012 ("the year"). 3BL ‘Triple Bottom Line’ Associates (3BL), Bahrain’s first social impact and sustainability consultancy and think-do-tank, has released the results of the Bahrain Responsible Business Survey. Bahrain Petroleum Company (Bapco) made a significant donation to renovate the children’s playground at Al Wafa Centre for Autism, in order to better provide a safe, fun, and convenient environment for the children to play. This come as part of Bapco's recently launched corporate social responsibility campaign aimed at supporting local charities and societies and make a positive difference in the lives of those in need. 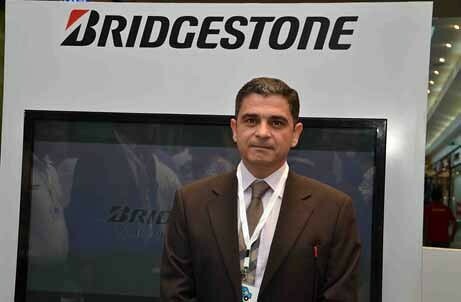 Bahrain will host the first Bahrain International Corporate Social Responsibility Conference and Exhibition 2013 in March, a report said. The event, from March 3-6, will be held under the patronage of Finance Minister and Minister in charge of Oil and Gas Affairs Shaikh Ahmed bin Mohammed Al Khalifa, according to the report in our sister publication the Gulf Daily News. Bahrain-based Arab Shipbuilding and Repair Yard (Asry) has won the Corporate Social Responsibility Award at the Seatrade Middle East and Indian Sub-Continent Awards (MEIS) 2012 in Dubai. The award, chosen by a 12-strong panel of industry judges, was due to Asry's comprehensive employee welfare, training initiatives and environmental programmes, said a report in our sister publication, the Gulf Daily News. VIVA Bahrain, through its Corporate Social Responsibility arm, VIVA Jusoor, announced its sponsorship of the Kingdom's popular annual sporting and charity event, the Bahrain Marathon Relay 2012, which will start this year from the VIVA Karting Track in November 16th, 2012. حل رئيس الكلية البرفيسور كولينز ضيفا على الملتقى الشهري لمنتدى الأعمال البحريني البريطاني الذي عقد في 17 سبتمبر في فندق الكراون بلازا، وذلك في إطار استراتيجية الكلية الملكية للجراحين في إيرلندا - جامعة البحرين الطبية (RCSI Bahrain) للتواصل مع المجتمع. Corporate social responsibility (CSR) will be highlighted next year at a conference organised by the Bahrain Society of Engineers. The first Bahrain International Corporate Social Responsibility Conference and Exhibition 2013 will be held in collaboration with FROM6 Communications and Bahrain Corporate Social Responsibility Society. It will take place from March 3 to 6 at the Gulf International Convention Centre. وقعت منظمة «اليونيدو» مذكرة تفاهم مشترك مع الجمعية البحرينية للمسئولية الاجتماعية وذلك لاستضافة مؤتمر بعنوان «المسئولية الاجتماعية للشركات والعالم اليوم» في مايو/ أيار 2013 والذي سيقام في فندق كراون بلازا البحرين. Bahraini retail and commercial banking institution, BMI Bank today donated an amount of BD 5,000 to the Al Sanabel Orphans Care Center (Al Sanabel) as part of its Corporate Social Responsibility (CSR) program. Aluminium Bahrain B.S.C. (Alba) presented the second instalment of its BD 150,000 (US$ 397,877) donation – payable over three years – that will go towards the purchase and installation of eco-friendly LED lights at the University of Bahrain (UOB) campus in Sakhir. Aluminium Bahrain B.S.C. (Alba)’s credentials as a corporate citizen were highlighted with the launch of its annual blood donation campaign on Tuesday, June 5, 2012 at the Alba Health Care Centre.